Here you'll find our most popular speaker hire packages and standalone systems - all with great sound quality. You'll also find links to our other audio equipment hire categories such as: Microphone Hire, Mixing Desks and Backline Hire. Regardless if you are a seasoned audiophile, mid range muso in a band or simply a passionate music lover. 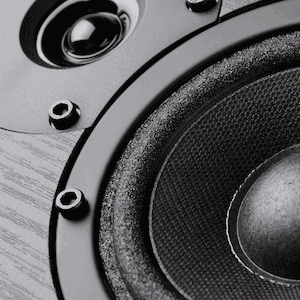 You'll know great sounding speakers when you hear them. However with such a range of variables to consider at your next event, how will you know that you are hiring the right gear? Are you looking for wedding speaker hire, party speaker hire or a portable pa system, but not sure what you need? Simply call 08 93856996 to chat about the ideas you have for your next event. We can help you choose from our range of sound systems; ensuring your event is perfect! 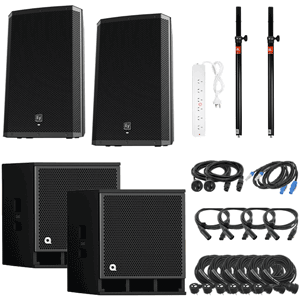 When it comes to speaker system hire, you'll soon discover why Power Audio Visual is Perth's friendliest and easiest place to source all your quality equipment. Car not big enough or you are a bit strapped for time? No worries, we can deliver and even set up if you like - just let us know when you enquire. Ok, enough with the spiel already... Show me the audio systems! 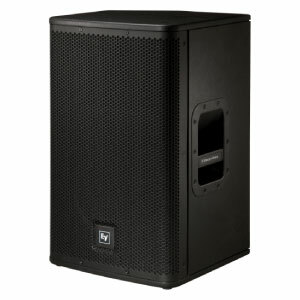 This popular small PA Hire package has its own mixer and will deliver great sounding music or speech for up to 150 people. Simply plug in an iPhone®, Laptop or Microphone. 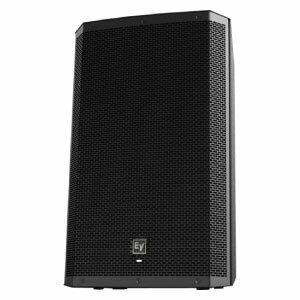 This small PA Hire option delivers full range clarity of music playback as well as speech for up to 150 people. You'll need to plug this party speaker hire pack into a mixer or audio console. 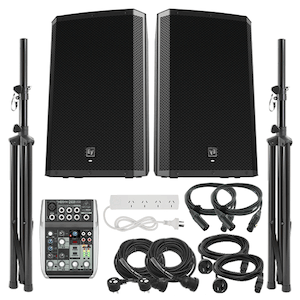 This awesome speaker hire package is suitable for events of up to 215 people. 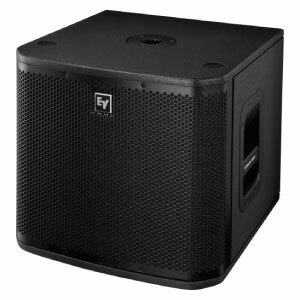 The package includes a sub-woofer to add extra low end punch to really get the crowd moving. 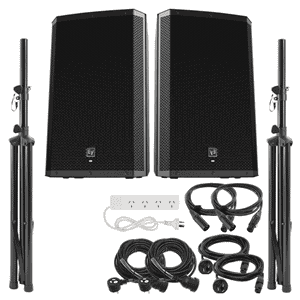 This Speaker Hire package will pump out great sound for up to 400 people. 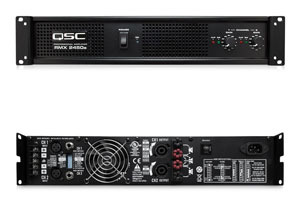 Due to the flexible nature of the Quest Subs, this system can be used for DJs/electronica or live band applications. 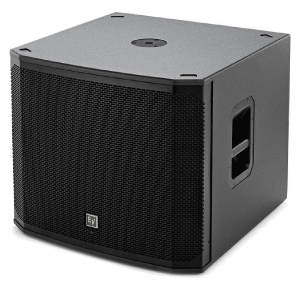 With the extra top speakers you'll be able to spread even sound to big rooms or large areas. 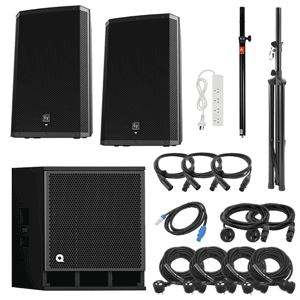 This Speaker Hire Package will be perfect for music and speech for up to 250 people. Plus, with two subs you’re adding real dimension to your sound, good for a band with a drum kit. When it comes to PA hire, you may have fairly simple dry hire requirements, such as linking up two speakers to an output source, like an iPod® or plugging in some DJ Equipment Hire. In other cases, you may be requiring a more complex speaker hire setup. Perhaps you are taking the band out of the garage, or you have a stage show to organise. How Big Is The Venue? When thinking about speaker hire, it is important to consider the size of the venue and how many people will be attending. Also, an event indoors will have different needs than those of a show outdoors. Naturally, larger areas with more people or those with more ambient sound will require a more powerful system. However this may not necessarily mean ‘bigger speakers’. A solution could be to place smaller head units at lesser intervals; check with our friendly technicians to see what they recommend as the best option. How Big Is The Band? When talking microphone hire or a band PA System ,you’ll need to tell us how many guitars, xylophones, vocalists and pieces of drum kit you want to amplify. Let’s say you have a lead guitarist/singer. They’ll need a vocals mic, a mic stand and probably a DI (Direct Inject Box) to plug into the amplifier. Have a few backing singers? They’ll each need a mic. Then, you’ll need to use a DI box for amplify the keyboard and Bass guitar; then you’d mic up the drums with something like this shure drum mic kit. 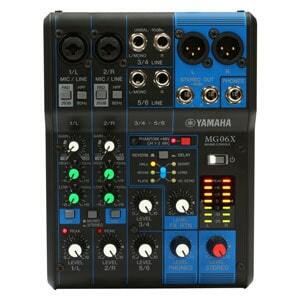 Oh, and you’ll be needing a multi input sound mixer, such as a Behringer Mixer or a Yamaha Mixer to plug it all into. Another element to add to your PA Hire are the fold back speakers. With the crowd chanting your band’s name, how will your lead singer hear the drooling of the drummer over the ruckus? Typically, this is achieved by placing your fold back monitors (or wedges) on the floor of the stage, facing towards the performers on stage. Again, depending on the size of the stage and how many performers, the number of fold back speakers and the layout you’ll need will vary; so chat to our AV guys if you need some help. Other than having a microphone for each singer, it’s a good idea to carry a few spares to handle any accidents. While a set of Shure SM-58’s will be robust, Murphy’s Law states that the time you ‘need’ a spare is usually, when you don’t have one. Most worthwhile companies that have speakers for hire, such as us will have heaps of mic stands, cables, mic clips, amplifiers and various backline modules for hire. With a multitude of different stands for multiple applications; make sure you chat with your tech about what your plans are. This way, with your ideas and their knowledge, you’ll be far more likely to have everything you need on the day. Of course, the world of speakers and pa systems is huge and we have only touched on a few small items. There’s a bunch of other things to take into account and when the marketing guy gets his act together, he’ll post some articles with heaps of great info. But for now, check out our stock below and as always feel free to contact us to chat about your AV needs. Need A Processor Or Amplifier? Below, you will find our current range and the basic details of our PA Equipment Hire. As you'll find, we have pretty much everything you'll need to broadcast sound and voice to large or small crowds. 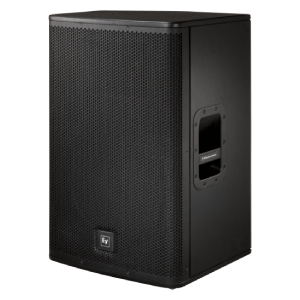 If you are having a backyard party, we have several small pa hire solutions that are well priced and suitable for most party speaker hire needs. If you need band PA hire, we have a great range of Electro Voice (E.V) powered and passive units. Perhaps you are holding a bigger event and need a large PA System? Our RCF range is an industry favourite and perfect for outdoor PA hire needs. Having a trade show and need a mobile solution? 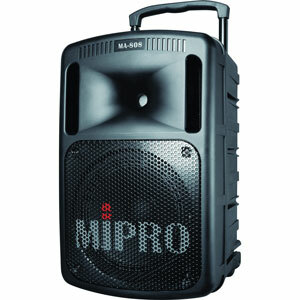 Our Mipro 808 is a great Portable PA Hire System. It can be plugged into a GPO, or operated on batteries for up to 5 hours. Having a wireless mic option, you can use this PA pretty much anywhere. Compact, lightweight and with built in wheels - this well priced unit will be perfect for public announcements. When you want top quality equipment, great service and competitive Perth PA hire prices, contact us. Our range of speakers for hire includes all the top names and any accessory you can think of. Plus, we’ll make sure you have all the right cables to connect, giving you peace of mind. Plus, to reduce your worry even further, all of our audio, visual and lighting equipment for hire is of excellent quality, is tagged to AS Standards and thoroughly tested before leaving the warehouse. When you think safe, top quality PA rental, with great PA hire prices, think Power Audio Visual. From public announcements at Corporate Events; all the way to large festivals - we have the equipment and experience to suit your audio equipment needs. Got some ideas, but need some advice? Feel free to call one of our Technicians during business hours on 9385 6996. As the friendliest guys in the industry, we are happy to help. Great sounding 800W amp wrapped up in a compact and light weight cabinet. 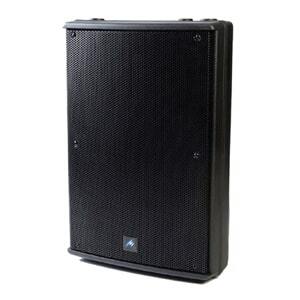 Despite being fairly small, this 8 inch powered speaker hire option offers good sound quality and reliability. 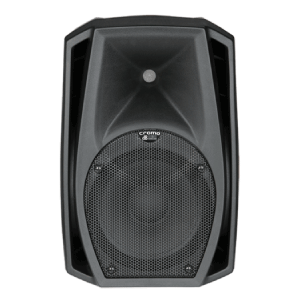 This powered 12“ woofer and 1“ compression driver speaker has a high SPL tolerance and broad frequency range; meaning that it may be used for live and playback scenarios. This 10 inch speaker for rent is perhaps best in a fold back or booth monitor scenario. 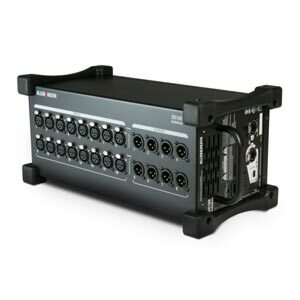 As it is powered, you could also use it for a small pa solution. A 12 inch passive PA Speaker, with 300-watt continuous and 1200-watt peak. This is a lightweight, high powered speaker system that produces accurate voice & instruments. This 12" Australian engineered passive speaker from Quest will serve you well in both playback and live settings. 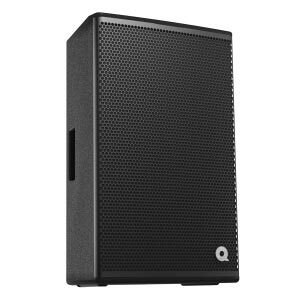 Due to its versatility you could use this speaker for hire at the front of house or as a fold back. 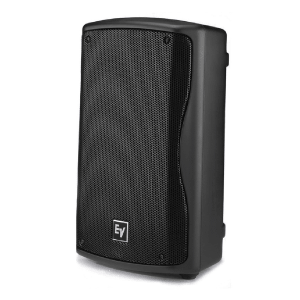 A lightweight and robust powered PA for hire, this EV 12 inch has a 1000W amp. 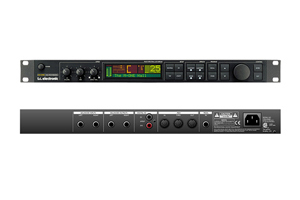 Usually used when amplifying multiple live audio sources or as a stage monitor. A compact and lightweight sub woofer speaker for hire. It's powered so no need to lug around an amp. Great for settings where space is limited and you need a little extra punch. 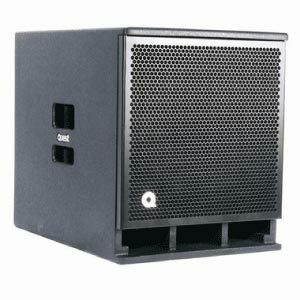 Either as a install or portable PA solution; this Quest unit will deliver good quality low range. with mid to high SPL. Its timber cabinet accentuates the high headroom amp (1000W peak), providing a decent 131dB max SPL. 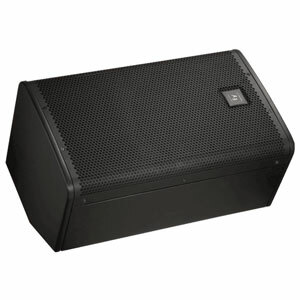 This EV 18inch Sub produces 1300W (peak power) with a frequency range 0f 35Hz to 180Hz; making it suitable for a wide range of applications from electronica through to live sound. Used all over the world, the Mipro MA-808 is jam packed with everything one could need for a fully portable public address system. Popular with Wedding Celebrants and announcers, the unit can be powered by its own internal battery pack for up to 6 hrs. Bigger, better and more chunky than the 8004. 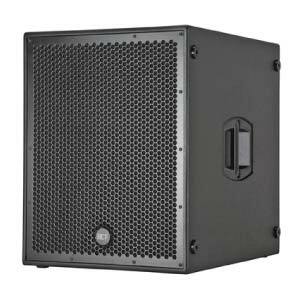 With 5000W of peak power, this dual sub RCF unit forms the backbone of one of our popular PA Hire options. 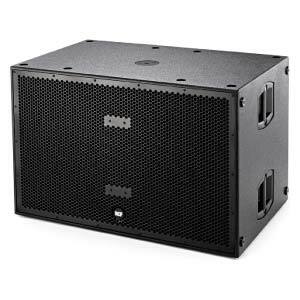 The RCA HDL 20-A is a great option for mid to large scale events or venues seeking a flexible speaker hire option. 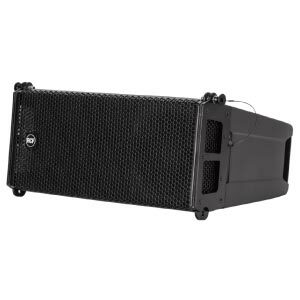 This modular PA Hire System uses a 1400W (peak) two way amp and is an ideal choice when line array performance is needed with a fast, easy setup. Microphones are often a key component in a PA System. 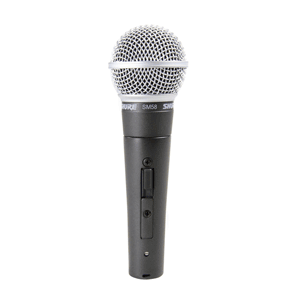 Here at Power Audio Visual Hire, you can rent a microphone individually or hire a multi-microphone kit. When you scroll down, you'll find we have a broad selection, for a diverse range of applications. For example, let's say you have some recording to do and need a bunch of studio microphones to hire. 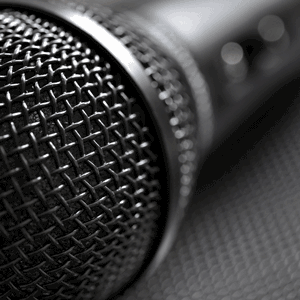 If so, Condenser Mics are the preferred choice when it comes to studio applications. This is due to their superior transient and frequency response. In other words, they'll pick up the finer details of the voice or instrument you are recording. 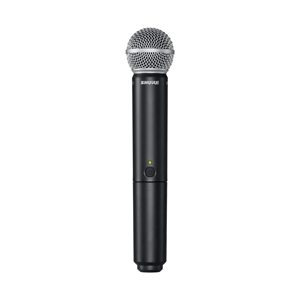 When you think microphone hire Perth, think Power Audio Visual. Our range includes all the usual industry names, with competitive prices. Got a show soon and need band microphone hire for your upcoming gig? Perhaps you are looking for some drum kit mic rental? If you do, our range of Dynamic Mics with various polar patterns are sturdy, thoroughly tested before leaving our warehouse and are perfect for the rigours of the stage.. Plus, we have a sweet Shure multi piece drum kit hire solution, with your name on it! 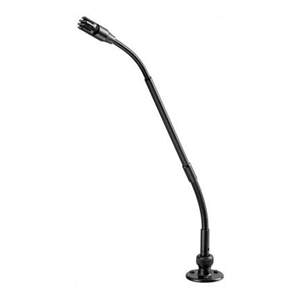 When you think wireless microphone hire, think Power Audio Visual. Whether a short or long term, we have a cost effective, easy solution for you. Such solutions include wireless handheld and clip on lapel mics - perfect for seminars or speeches where you need to roam freely. Again, all our equipment hire is thoroughly tested for peace of mind. And, in the case of wireless - with fully charged batteries! A little further down the page, you’ll find our mixing desk hire section to plug in your corded or wireless microphone. 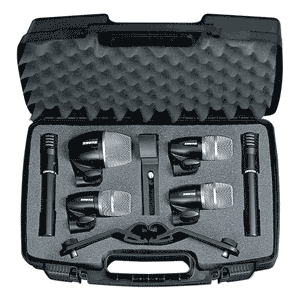 However, directly below is our cardioid dynamic and condenser microphones. Got a specific audio equipment requirement and can’t find the mic you need? Perhaps you have a few questions you'd like to run past us, or you need some pro advice? Simply click the 'enquire button', fill out the form and on of our friendly Power Audio Visual Hire technicians will be in contact! 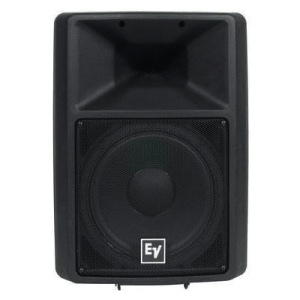 The EV ND267a is designed to reduce LF resonant distortion. As a result, this microphone for hire will give you clear vocals. This podium microphone for rent will allow multiple polar pattern selections. 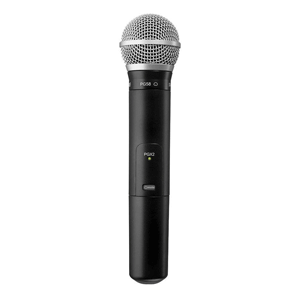 If you are looking for a dynamic microphone to rent, The Ev PL24 is a hi quality mic with balanced FR, designed for producing clear vocals in live sound situations. This mic for hire is designed to reproduce a broad range of vocals and instruments. 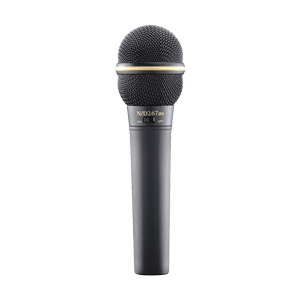 It is the microphone you want for most sound reinforcement scenarios. Like your Drums? This Drum microphone kit for hire includes 4 drum microphones to cover all you need in performance and recording applications. Adjustable gain control and much more. 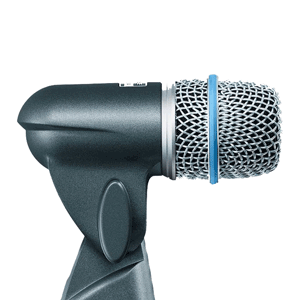 Another mic designed for drums and instruments. Best suited as close proximity drum mics for tom-toms and other percussion instruments like Congo etc. Can also be suitable for guitar amps, brass and woodwinds. 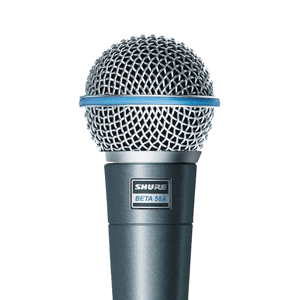 Usually used for sound reinforcement and recording studio applications; the Shure BETA®57A is a good allrounder choice for those seeking microphone hire solutions for drums, guitar amps, brass, wood and vocals. 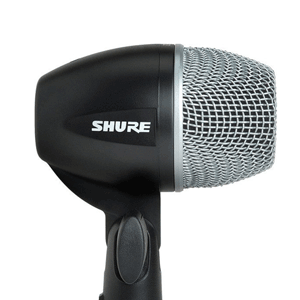 Designed for snare drum and tom drums, the Shure PG56 is a pro quality microphone that'll make your kit sound hot. 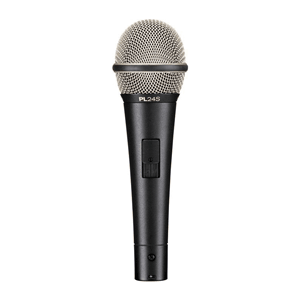 For a pro level microphone for kick drum applications, the Shure PGA52 is what you're looking for. 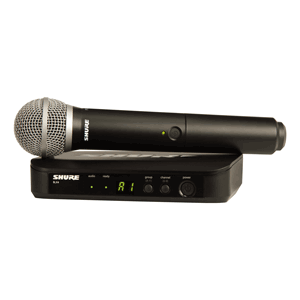 The Shure BLX4 Mic and receiver package will be perfect for speeches. With up to 90m operating range, you'll have plenty of freedom to roam. plus the quick scan frequency selector is a breeze to set up. 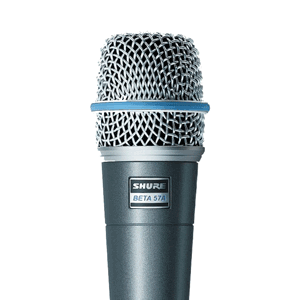 For drum kit mic hire, the Shure BETA®52A is designed to produce great sound for kick drums and other LF instruments such as a bass. 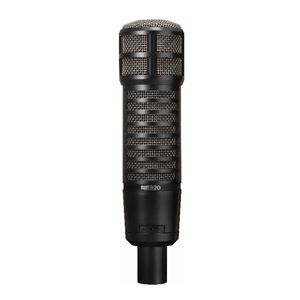 With its super cardioid polar pattern this mic will deliver crisp transients even at very high SPL. 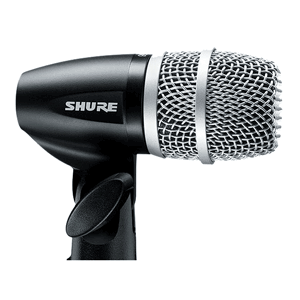 The Shure PGA81 is a condenser mic that has a curve and rejection suited for miking up instruments. 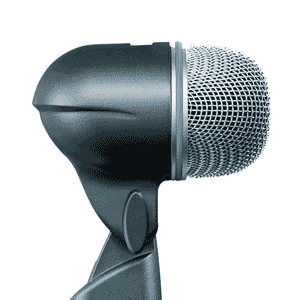 This microphone for rent is best used for close up vocals due to its frequency curve. Super cardioid, rotationally symmetrical about microphone axis, uniform with frequency. 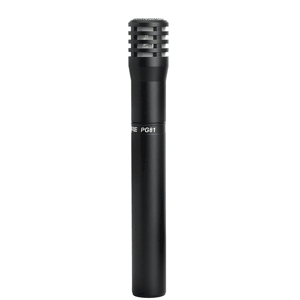 Expanding the professional PG series, this wireless mic has a curve designed for picking up and reproducing clean vocals. 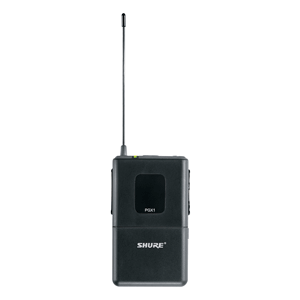 This wireless transmitter can be paired with a headset, Lavalier microphone (lapel mic), Instrument microphones, guitars or bass. 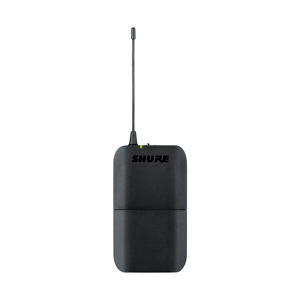 This wired Shure mic for rent has the same specs as the wireless version and is designed for excellent vocal reproduction. The key difference between the 58 and the 57 is primarily in the grille. The rounded ' golf ball' on top of the mic cartridge is designed to filter out most 'plosives and pops', making it best suited for vocals; both in the studio and on stage. This wireless mic has been designed to isolate unwanted background noise, with a curve that has vocals sound crisp and up front. 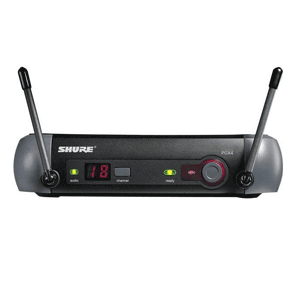 This wireless microphone receiver gives the kind of excellent quality sound that you'd expect from a wired mic. 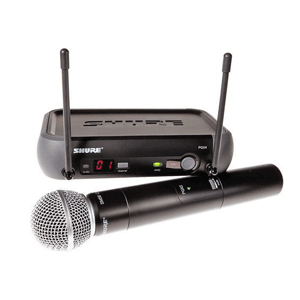 This wireless microphone hire solution is the complete package, suitable for Vocals , you'll get great sound and an easy setup. It's the classic mic that everyone has come to love. While the Sm58 and SM57 are similar. 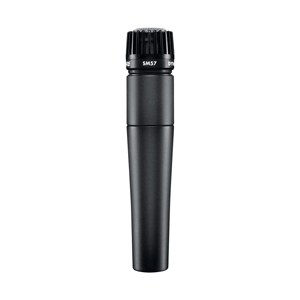 The SM57's flat mic grille is designed with instruments in mind. So when you are looking for mic hire, have a think about the application and what your needs are. The difference between this and the wired SM58 is an on/off switch. 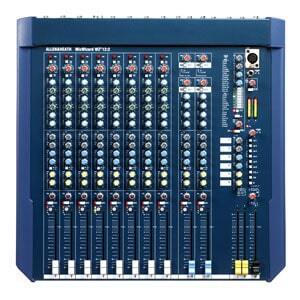 Ok, so you have an event coming up and you are looking to source a mixing desk for rent. 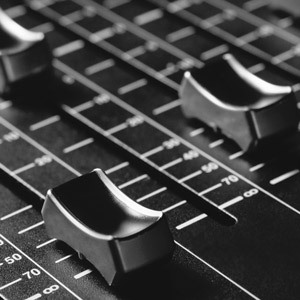 If that's you, our extensive selection of Digital and Analogue Mixers are competitively priced and suitable for most applications. 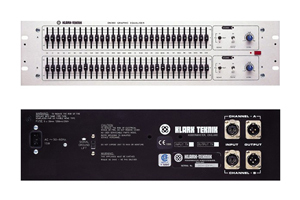 We currently stock most of the well known names like: Yamaha and Allen & Heath. 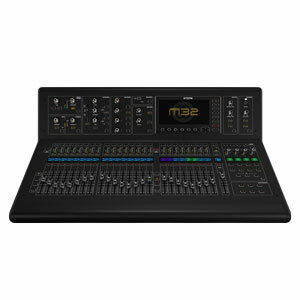 Plus, we have an awesome Midas M32 available to rent if you have the need! Whether it be an analogue or digital desk, our technicians are happy to provide sound advice. If you need, we can set up the audio equipment. Additionally, we have mixing engineers for hire. In a nutshell, Power Audio Visual can provide a total solution for your AV needs. You may want to chat with someone now. If so, simply click the 'call now' button! 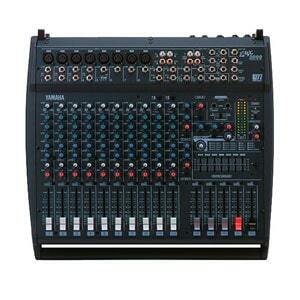 Featuring a 96kHz processor, this Allen & Heath is an awesome mixing desk for hire. With 33 fader's you could potentially mix 33 CDJs... Just imagine the possibilities kids! 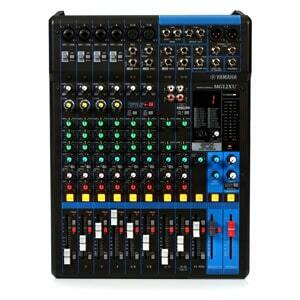 On a more serious note, this mixer will be suitable for many large live settings. 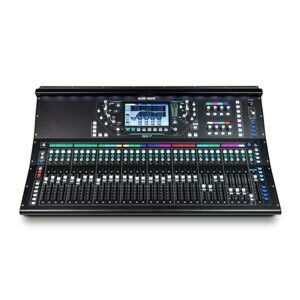 With 32 onboard mic pre-amps, 8 FX pots and inbuilt FX library, this console is a great option for your next gig. The baby brother to the SQ7, is still a tasty piece of kit. Using the same state of the art 96k sound card, you'll get great audio, superior control and mixing automations. 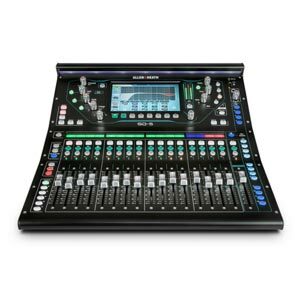 Suitable for a wide range of scenarios, this mixing console is likely to meet your audio hire needs. 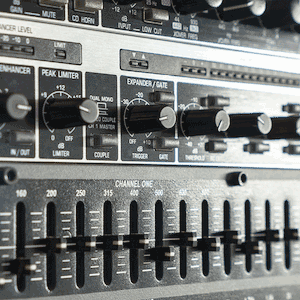 This classic WZ3 16:2 mixer is well known and loved by sound techs. It may not have all the wiz-bangery of the SQ series, but this mixing desk hire option will satisfy most live and studio settings. 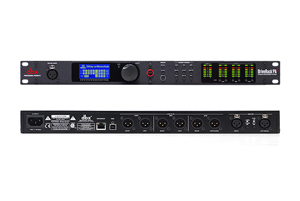 If you need more in / outs for your next gig, this Allen & Heath DX expander is the go-to for sending and receiving extra signals. No need for extra protein shakes and workouts, this expansion rack is lightweight and compact. 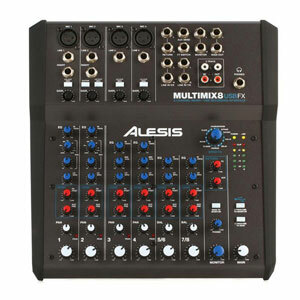 A compact, rotary style, 8 channel mixer from Alesis. This audio hire option has built in FX. Plus, it also has the capability of operating as a computer sound card for recording and mixing at the same time. USB compliant, plug and play with Mac or PC. Featuring 16 bit 44.1/48 k stereo output. This compact mixer is a flexible alternative to control a mono and two sterio inputs. Don't be put off by its simplicity. 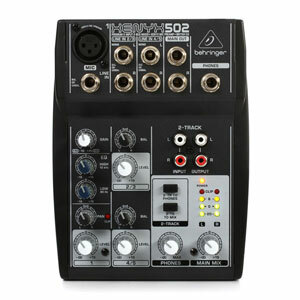 This little mixer has high headroom and produces low noise, good quality sound. 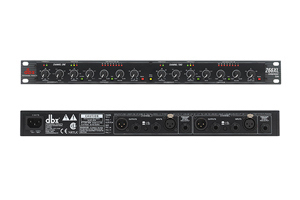 The simple two band equaliser and 1/4 inch jack outputs make it easy to send a signal to a set of studio or live monitors . Comparable quality sound and user interface than that of the big name brands, without the price tag. 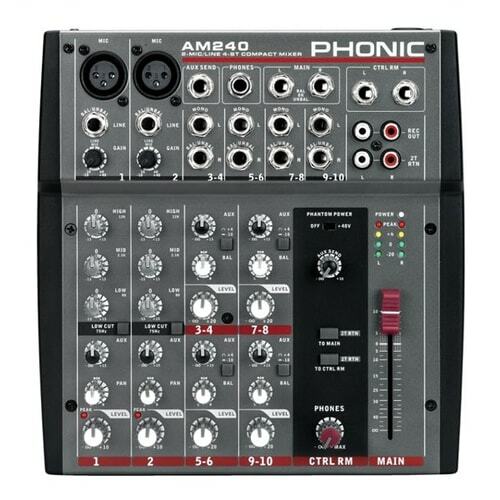 Featuring low noise, ten inputs, the AM240 is a nice little compact rotary style mixing desk for hire. With plenty of options, it's easy to monitor signals with phone jack and LED level meters. The AM range features a high grade microphone preamp which will ensure good quality vocal reproduction. with a frequency responce 0f 20Hz to 60kHz, the specs are surprisingly good for such a compact unit. Suitable for most simple applications. 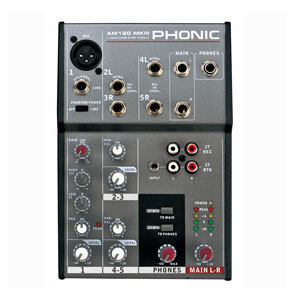 This mid sized, 40 channel analogue mixer is suitable for a wide range of audio hire needs. Whether on the road or in the studio, you'll find this desk has plenty of versatility. A little over 1.7m wide, the unit is compact, with a well laid out workflow for ease of mixing on the fly. 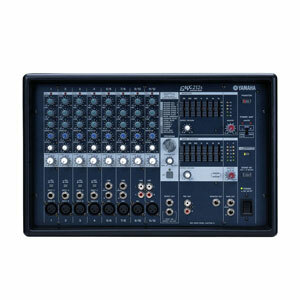 With 18 mono paths and four stereo, the Dynacord CMS2200 is a well rounded live sound mixer for hire. 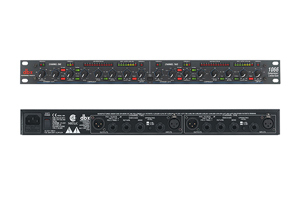 Its 22 input channels are powered by a 24 bit / 96k sound card. 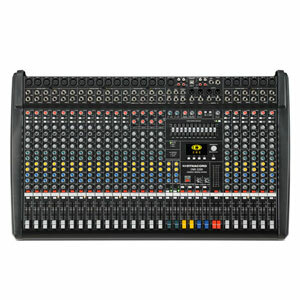 Additionally, this mixing desk has MIDI in/out for external devices and an 11 band EQ for flexible frequency control. With a seven band graphic EQ and typical Yamaha quality, you'll find this mixing console perfect for a mid sized PA Hire solution. 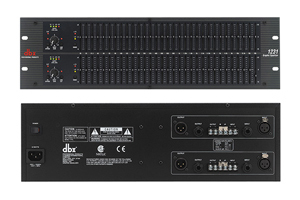 Two channel, 200W output, high quality digital FX (reverb & Echo) and 12 channel inputs. This full sized mixing console features 32 pre amplifiers, 25 , full throw motorised faders and over 50 onboard FX processors. Ergonomically designed, you'll find the workflow with the M32 a pleasurable and easily customisable experience. 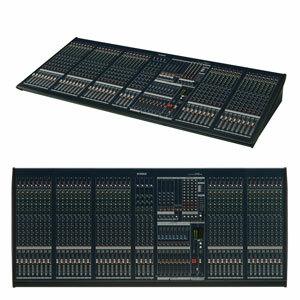 Featuring 24 bit / 192 K sound processing, this 12 channel mixer from Yamaha is suitable for live output and recording. With 24 Digital FX preset's to select, there is plenty of flexibility. Additionally, you'll be able to monitor post and pre with LED readouts and headphone output. 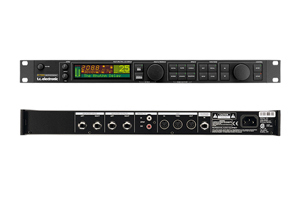 This compact and versatile sound mixer is suitable for scenarios where a 12 channel console is required. 10 Mic preamps with a 3 band EQ and low cut on the mono's. Featuring a 32 bit FX and easy to use, USB compliant recording for both Mac & PC. It may be little, but it ain't dinky. 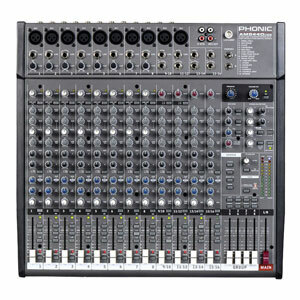 This 6 channel mixer has two mic outs with pad and high pass filters. Four stereo line channels, phantom power, a bunch of digital FX and phone monitoring. It's chunky and powerful. 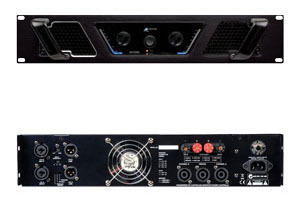 This 12 channel, 200W module has a seven band EQ for main outs. 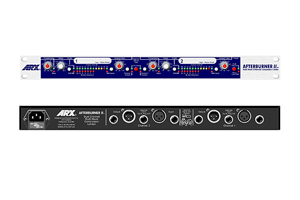 With 16 SPX FX, you'll have all the standard signal processing needs at your fingertips. 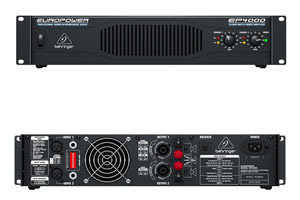 Power Audiovisual stocks plenty of high quality and well-known backline hire in Perth. 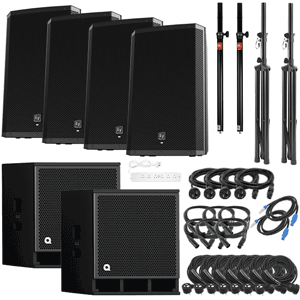 As with all of our of our Speaker and Audio rental solutions, you can consider us to be a one-stop shop for your needs. From start to finish, we can handle all the planning, installation and engineering for your important event; making the whole process easy, with a professional outcome. If there’s anything that we don’t have listed below, simply get in contact and we can source it for you.